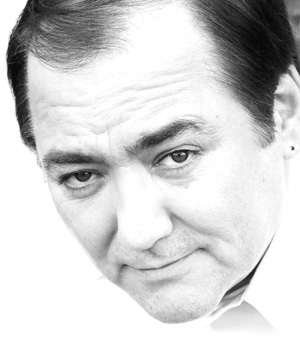 Intelligent, witty and sardonic, Ron Vaudry is the thinking man's comedian. A satirical genius teetering precariously at the edge of comedy, Vaudry guides audiences through a series of hilarious, yet thought provoking political and social observations. A favorite at both the Just For Laughs International Comedy Festival in Montreal and The Edinburgh Comedy Festival in Scotland, Ron has parlayed his standup success into headlining appearances at major comedy clubs on several continents. He is also a favorite at campuses across North America. His numerous television appearances include CBC's "COMICS! ", "Friday Night with Ralph Benmergui", "Comedy @ Club 54", and "The Late Show" with Arsenio Hall. He has also been featured on several radio programs including CBC's "Madly Off In All Directions" and "Definitely Not The Opera." Cynical, angry and always controversial, Ron is truly a talent to be savored.